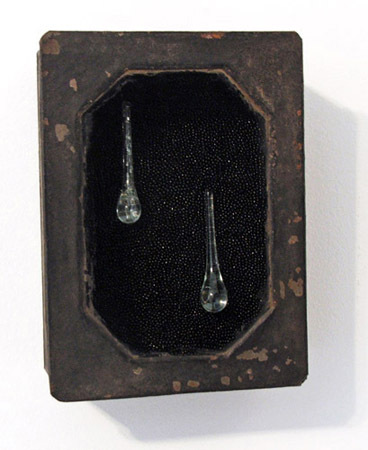 Kym Hepworth / Reliquary / 2007 / mixed media / 8 3/8 x 6 1/8 3 1/4 in. ©2007 - Kym Hepworth. All Rights Reserved. Reliquary, my mixed media assemblage inspired by mourning art, is featured in Short Stories on The Etsy Blog! Here's a link: Short Stories: Reliquary / The Etsy Blog.